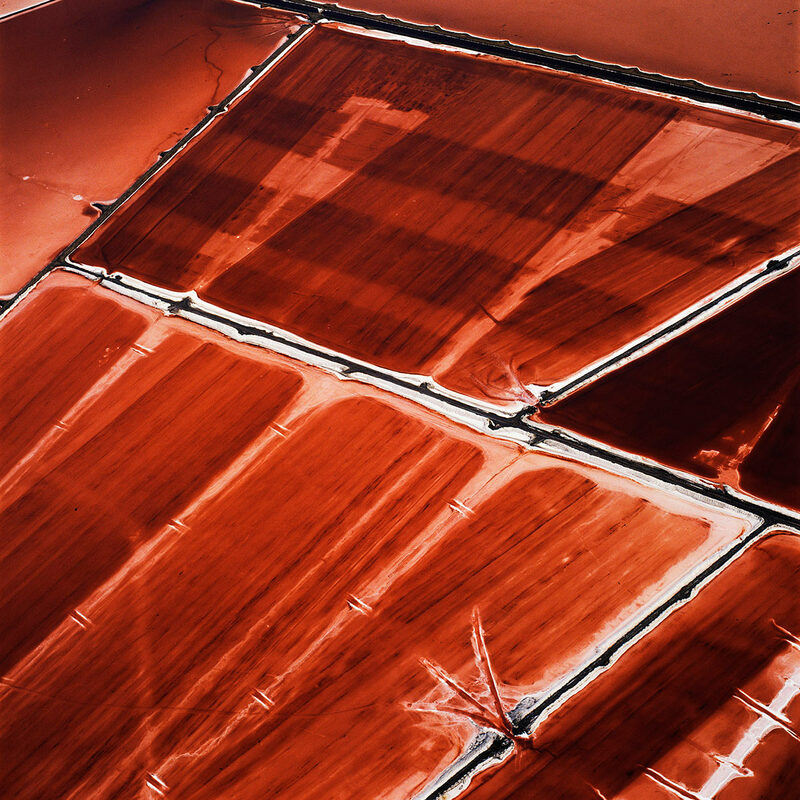 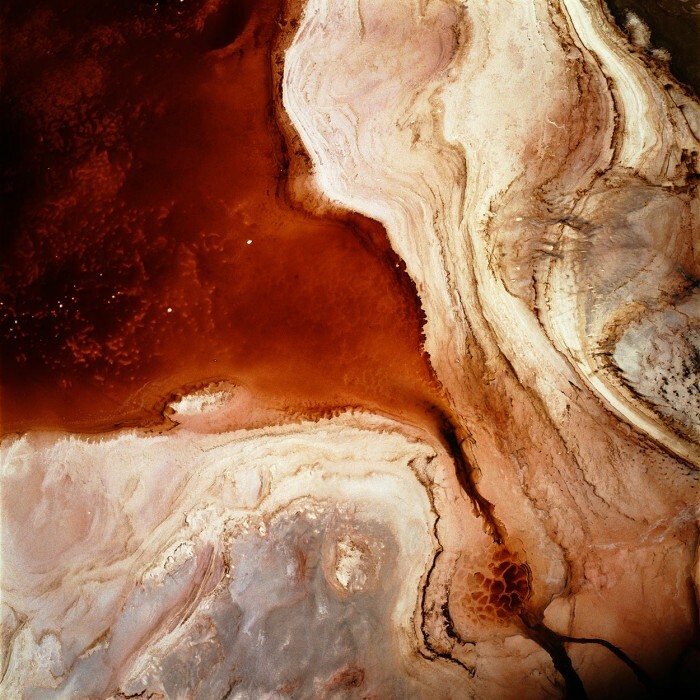 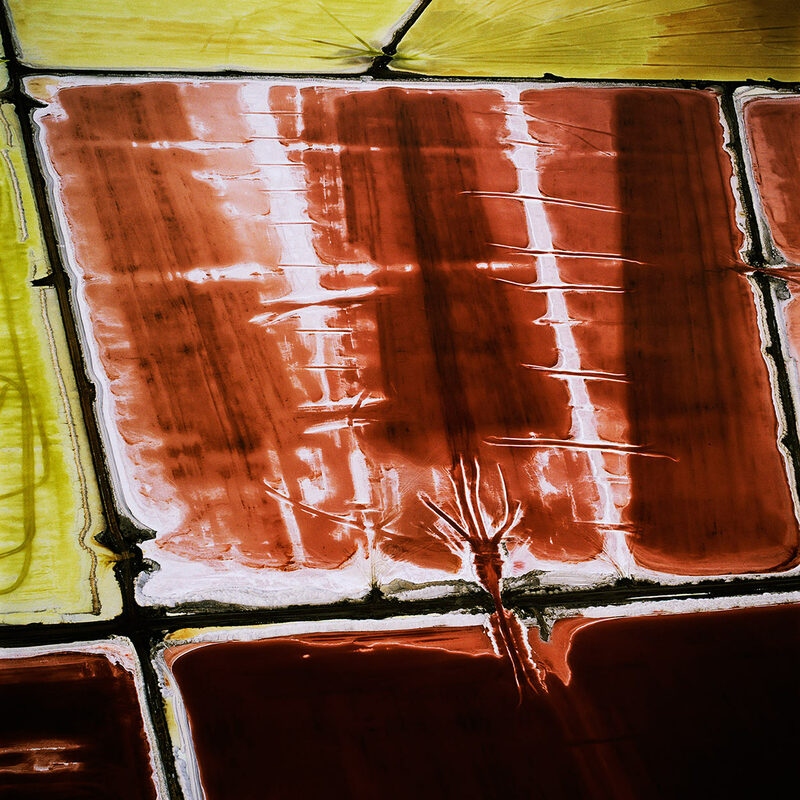 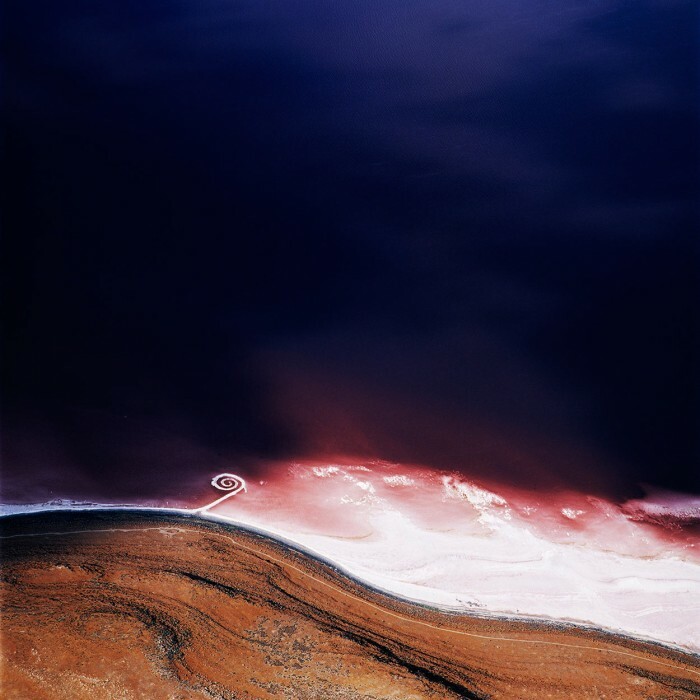 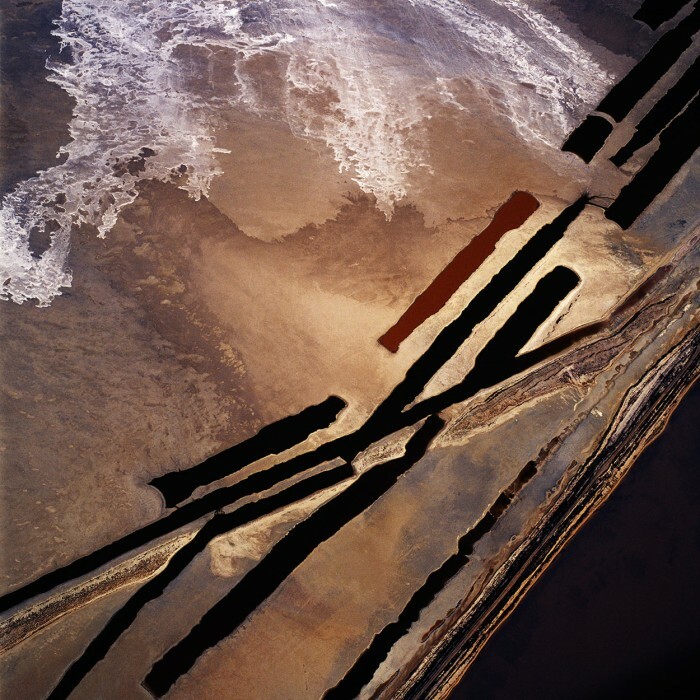 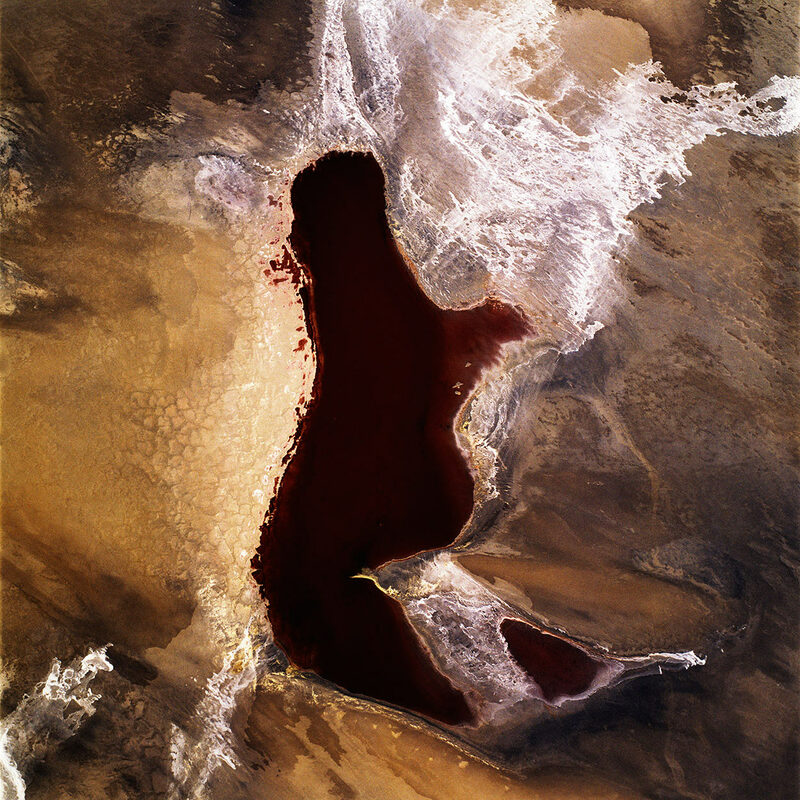 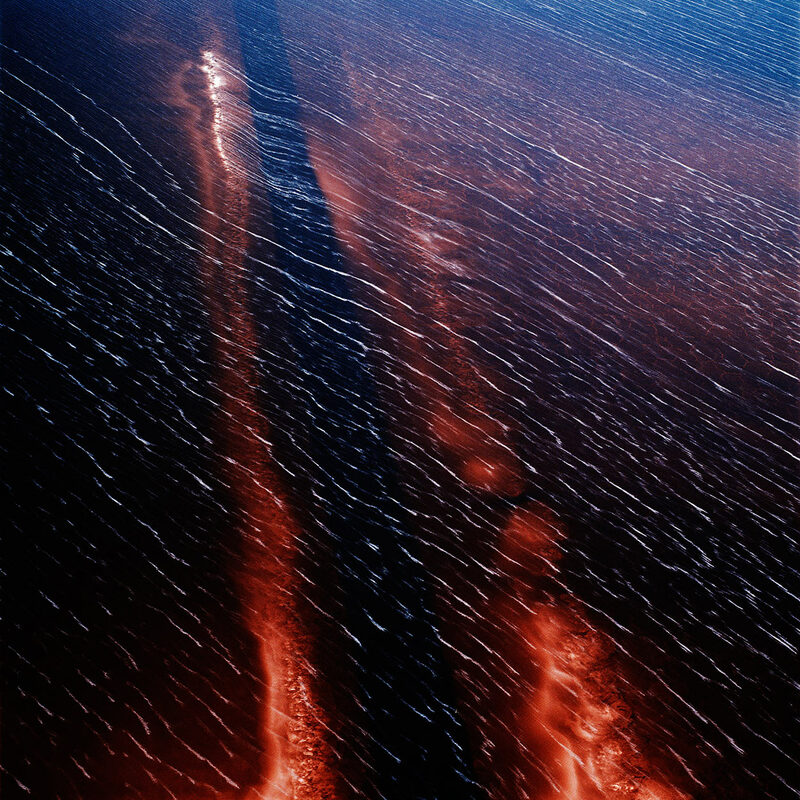 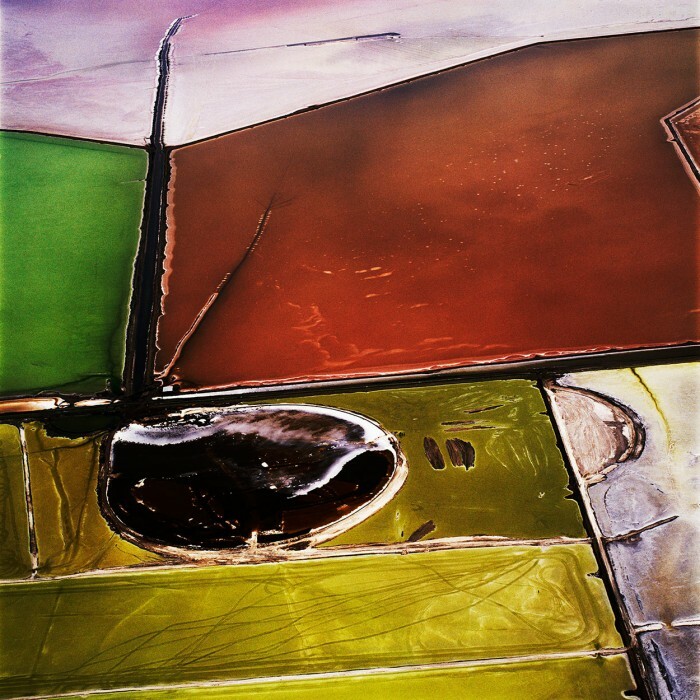 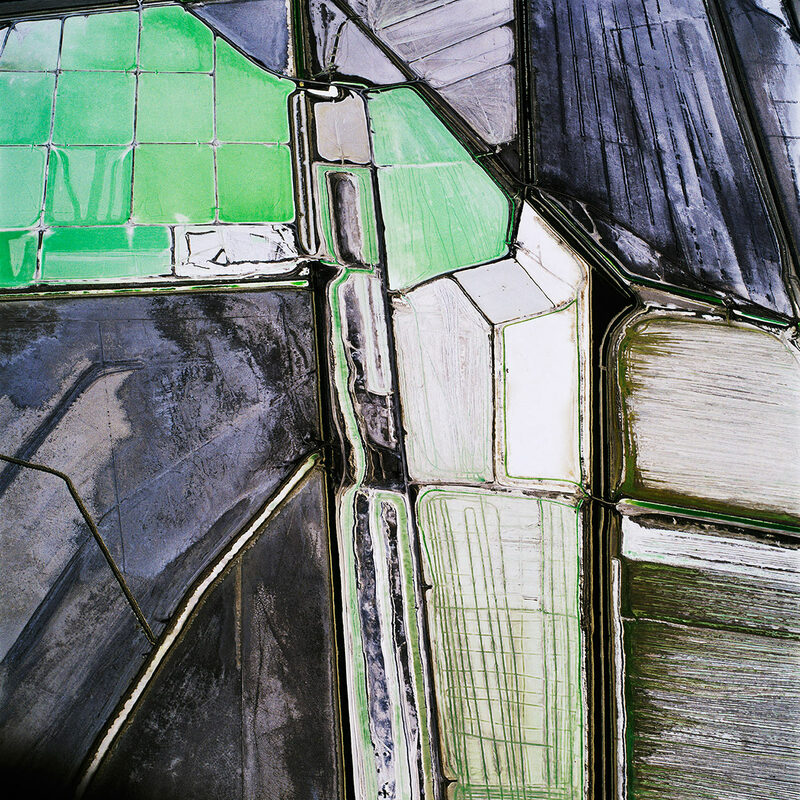 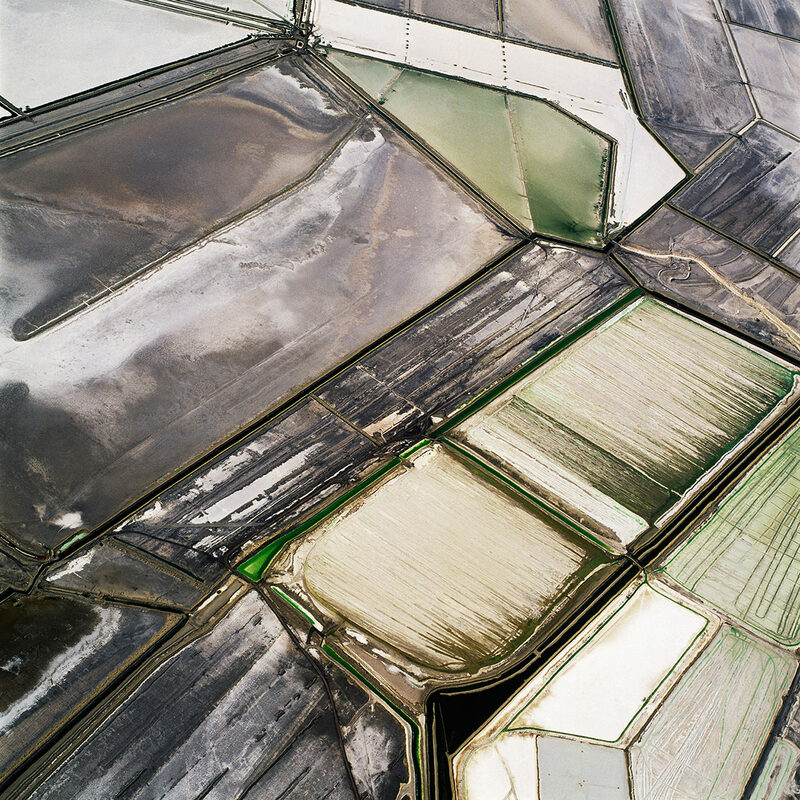 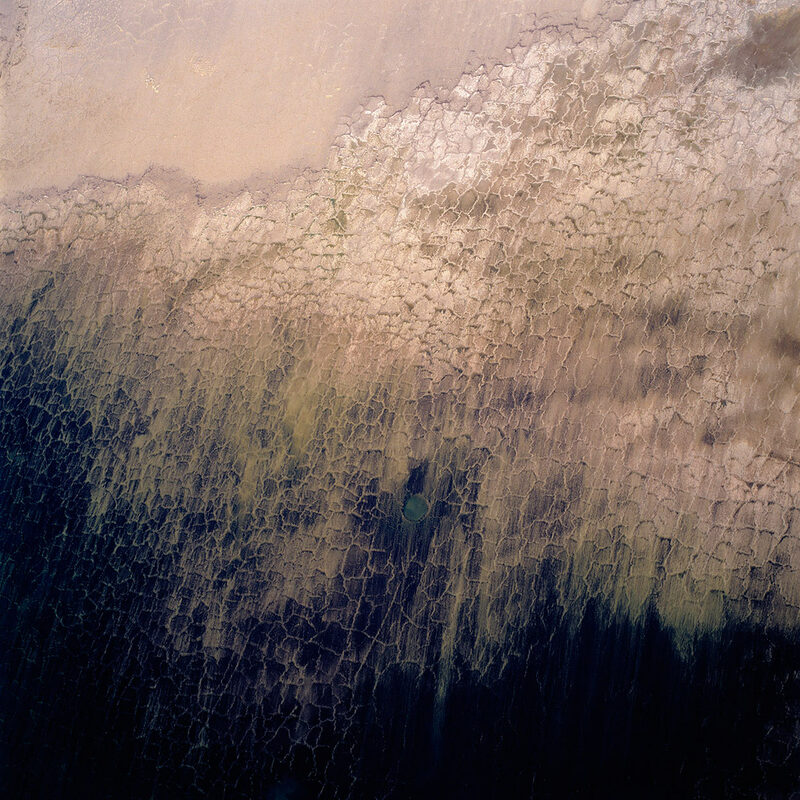 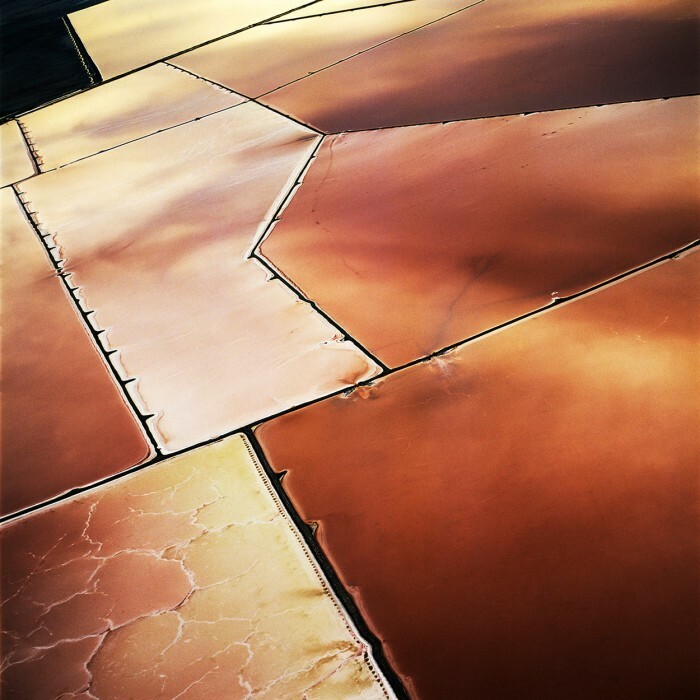 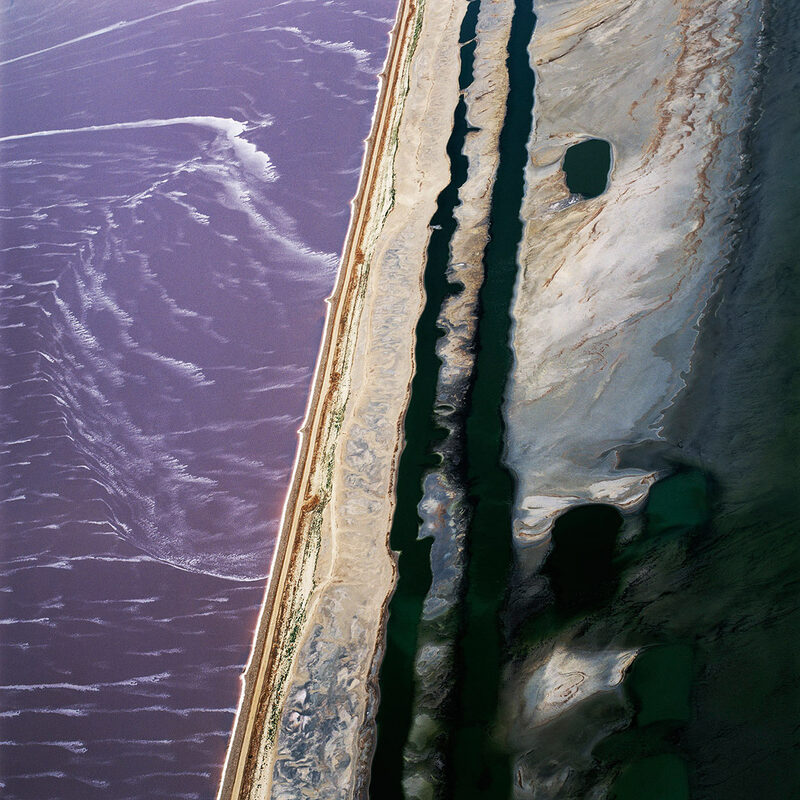 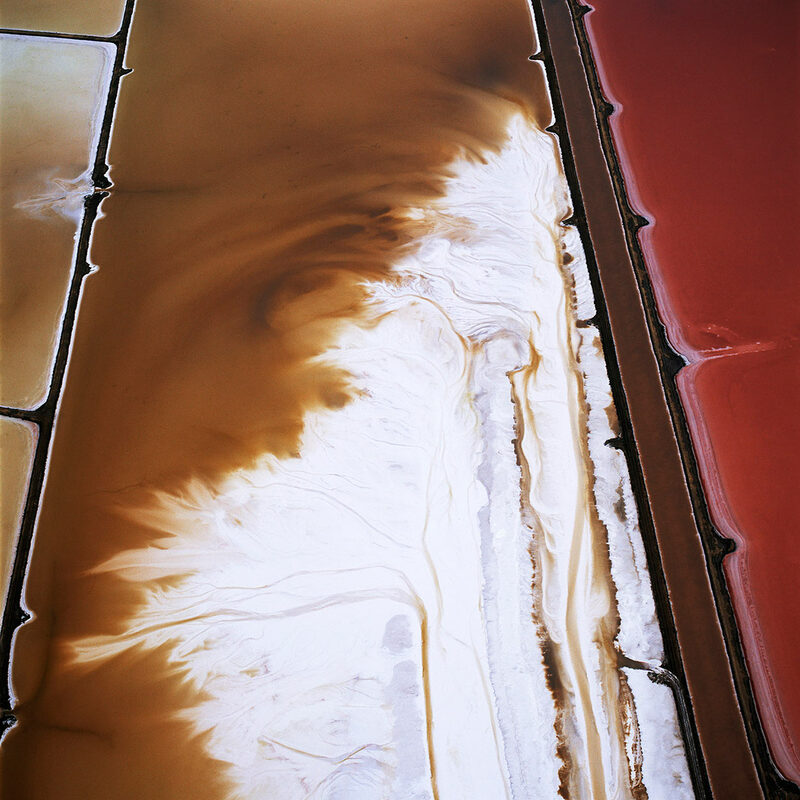 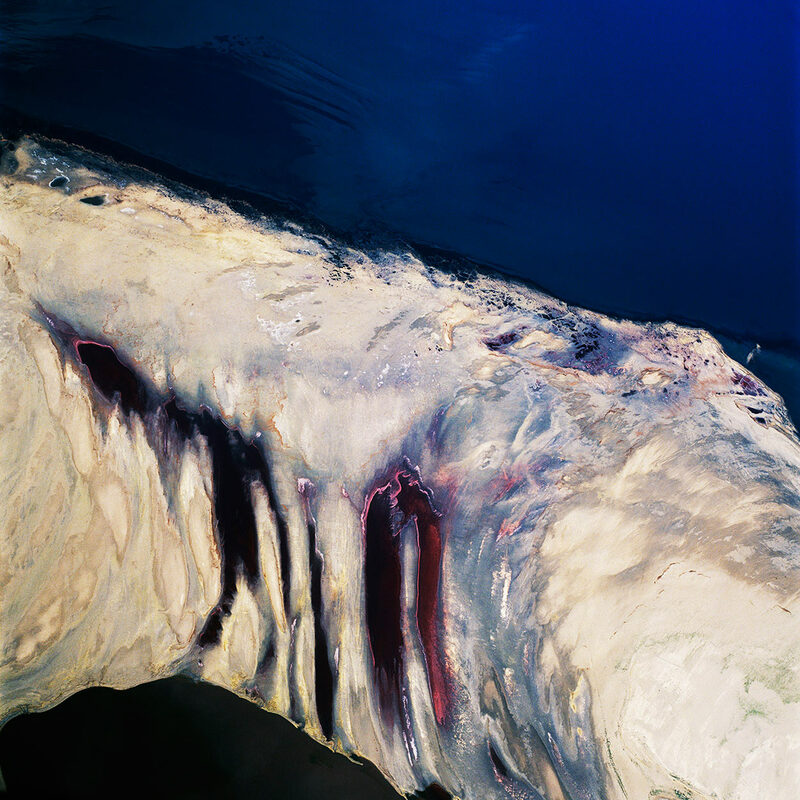 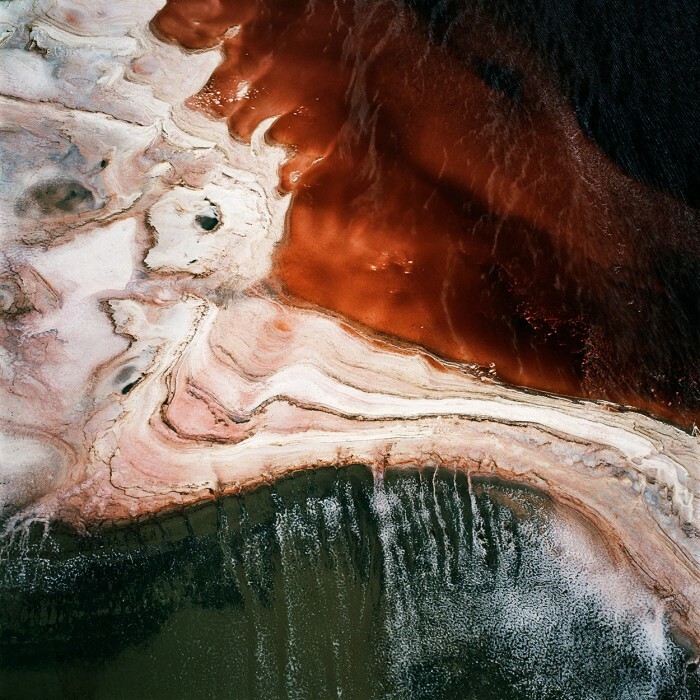 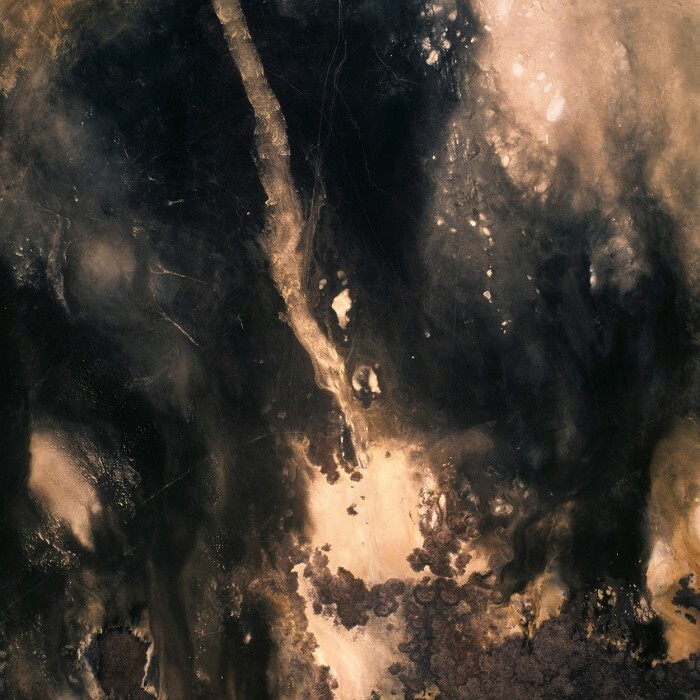 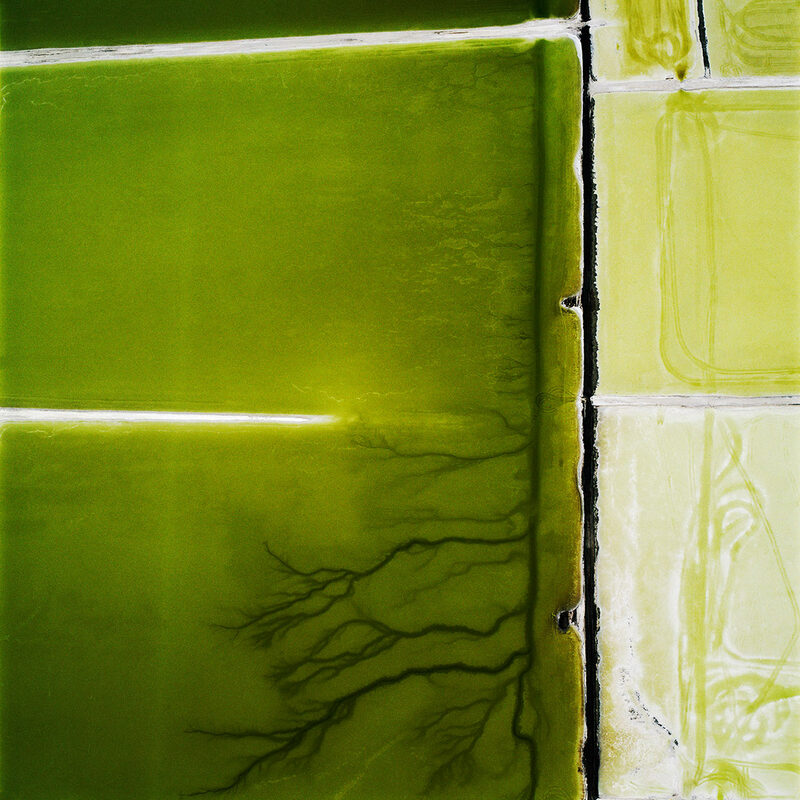 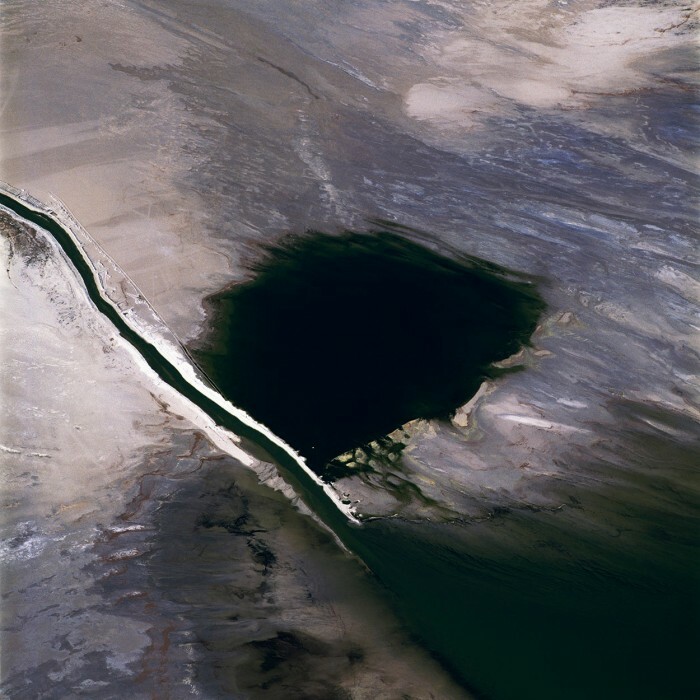 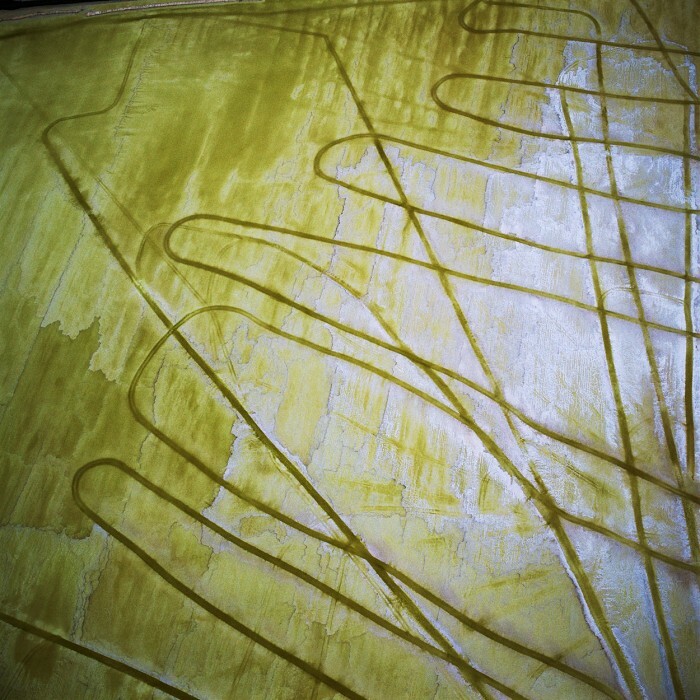 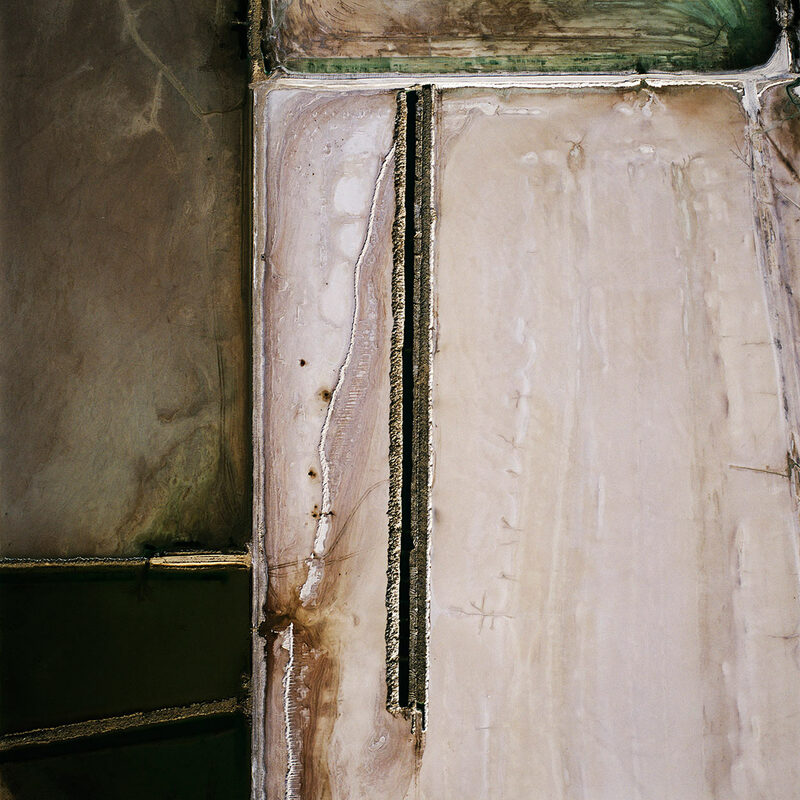 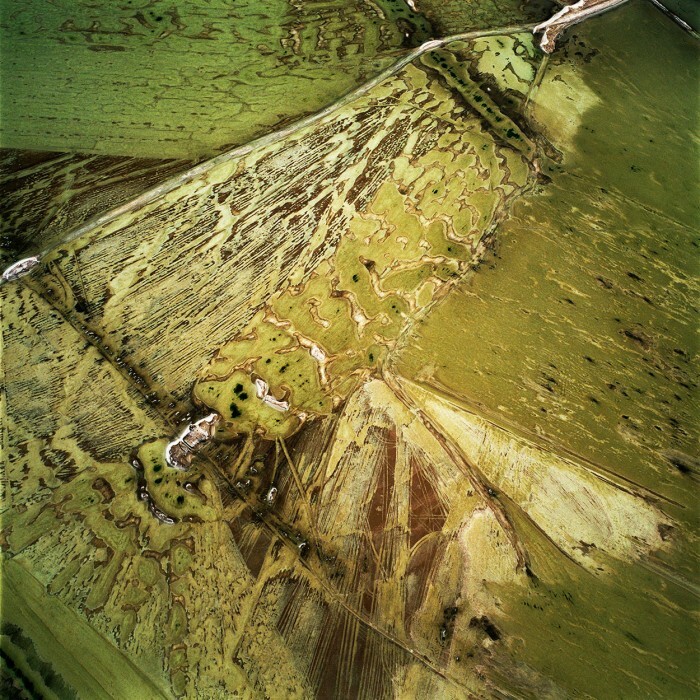 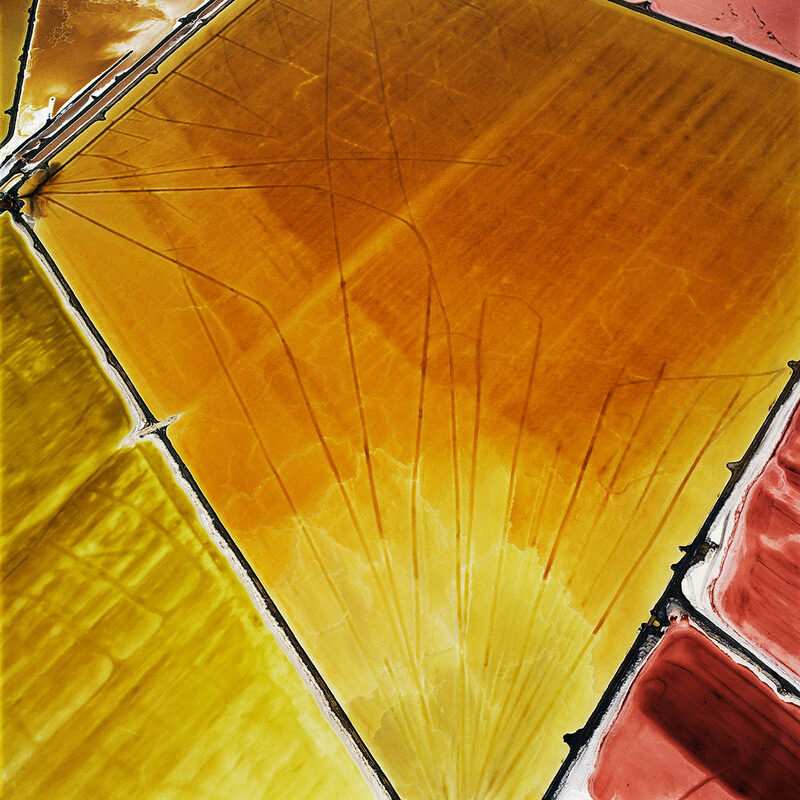 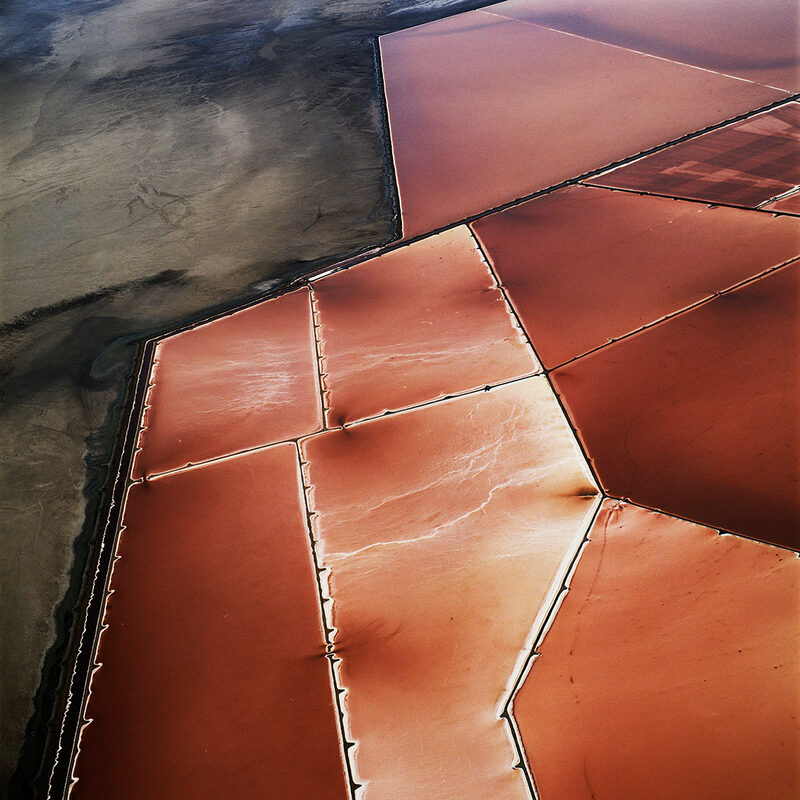 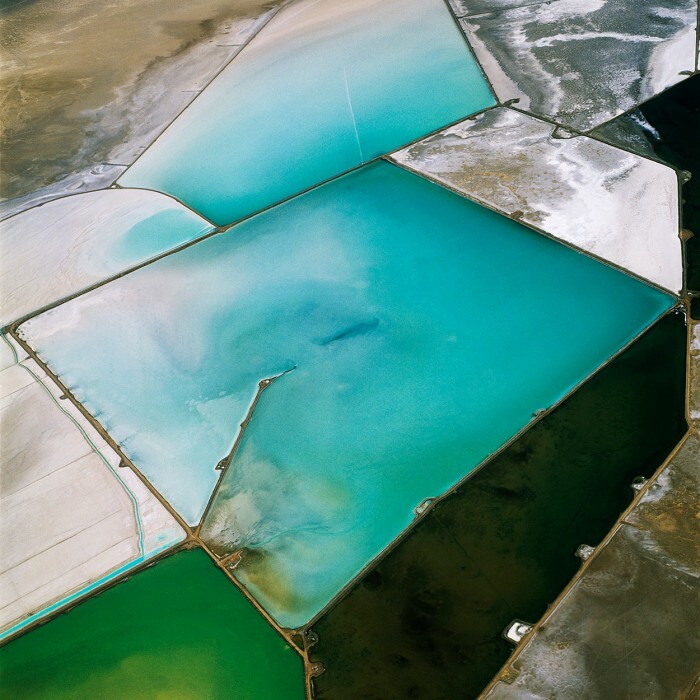 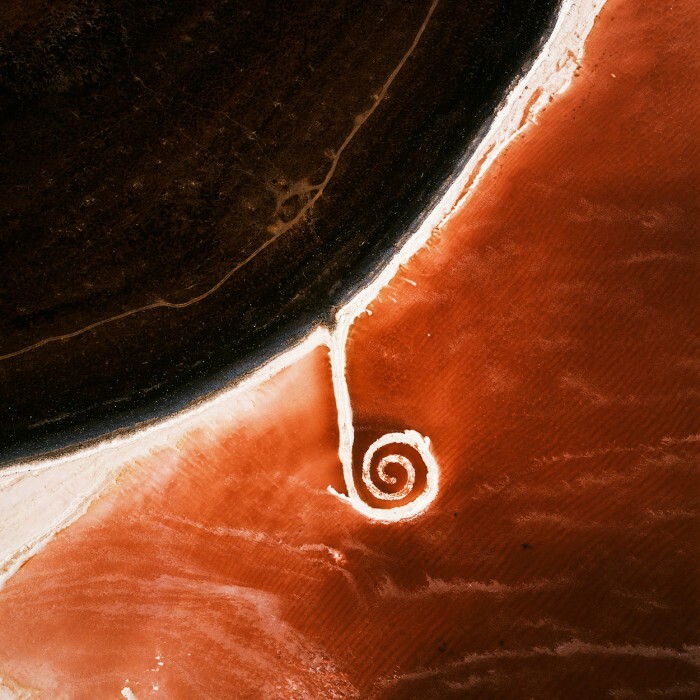 Inspired by Robert Smithson’s writings on the Great Salt Lake, Maisel embarked upon an aerial survey of this surreal, apocalyptic, and strangely beautiful region.Terminal Mirage examines the periphery of Utah’s Great Salt Lake, including zones of mineral evaporation ponds and macabre industrial pollution covering some 40,000 acres along the shores of the lake. 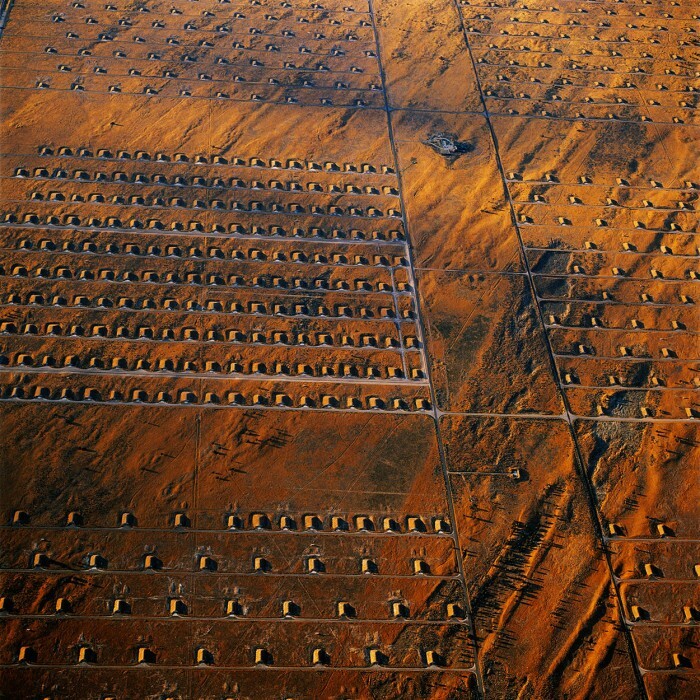 At the Tooele Army Weapons Depot, 900 munitions storage igloos sprawl across the valley floor. 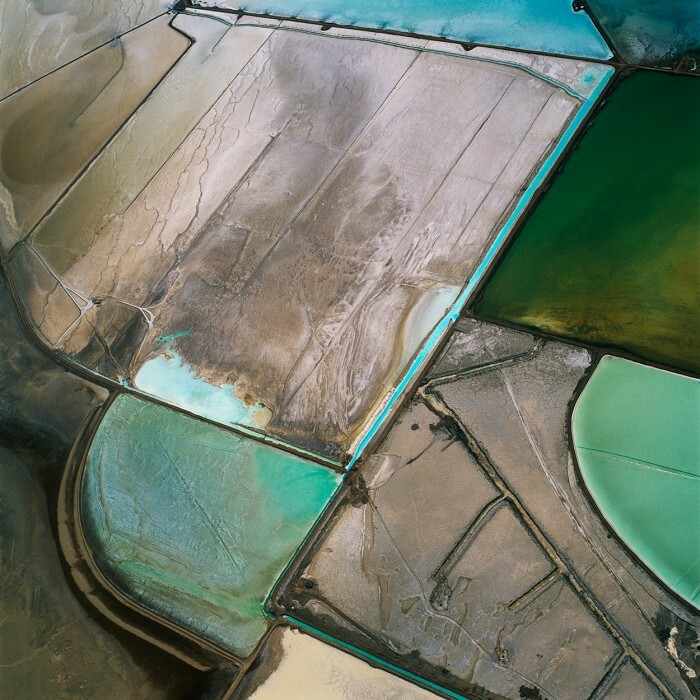 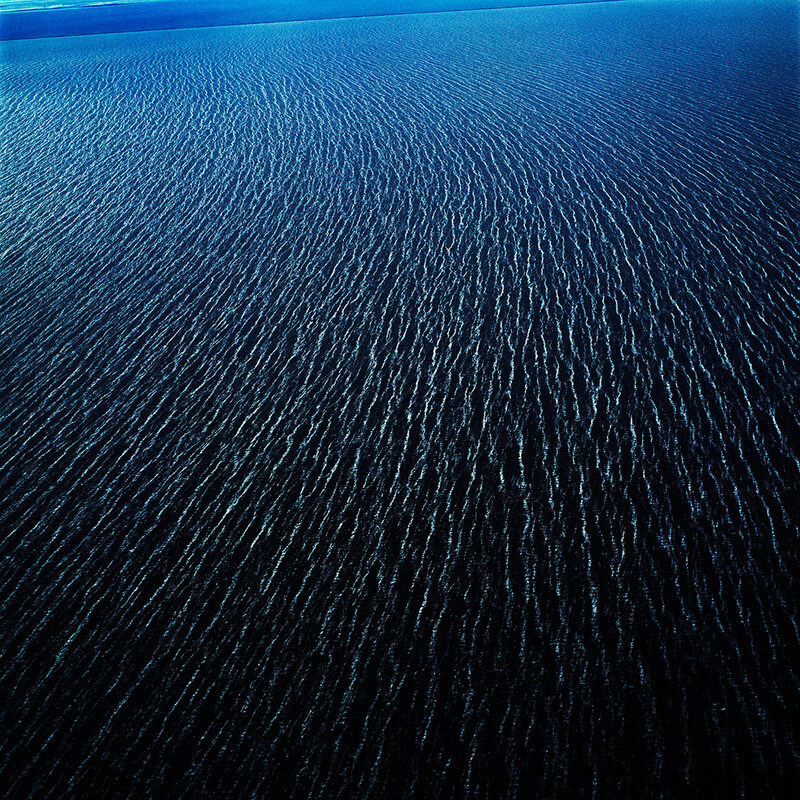 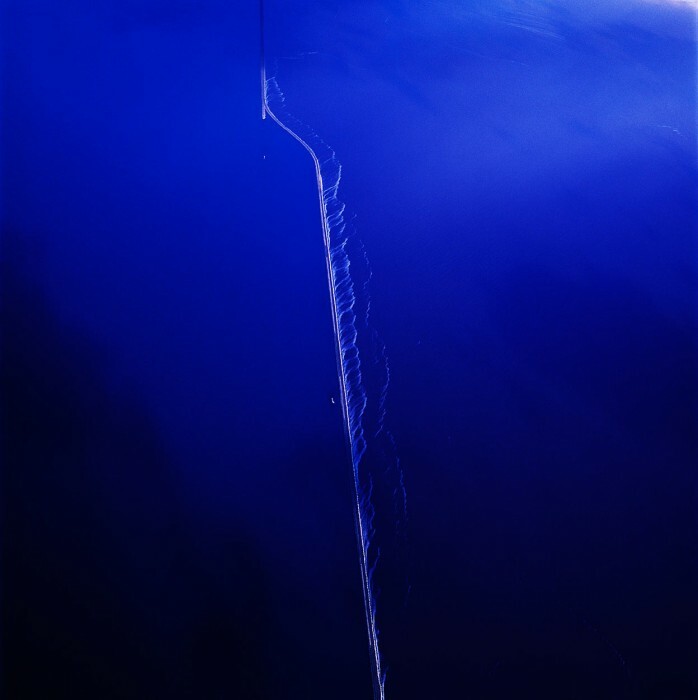 With each layer of human intervention, the landscape becomes more complex. 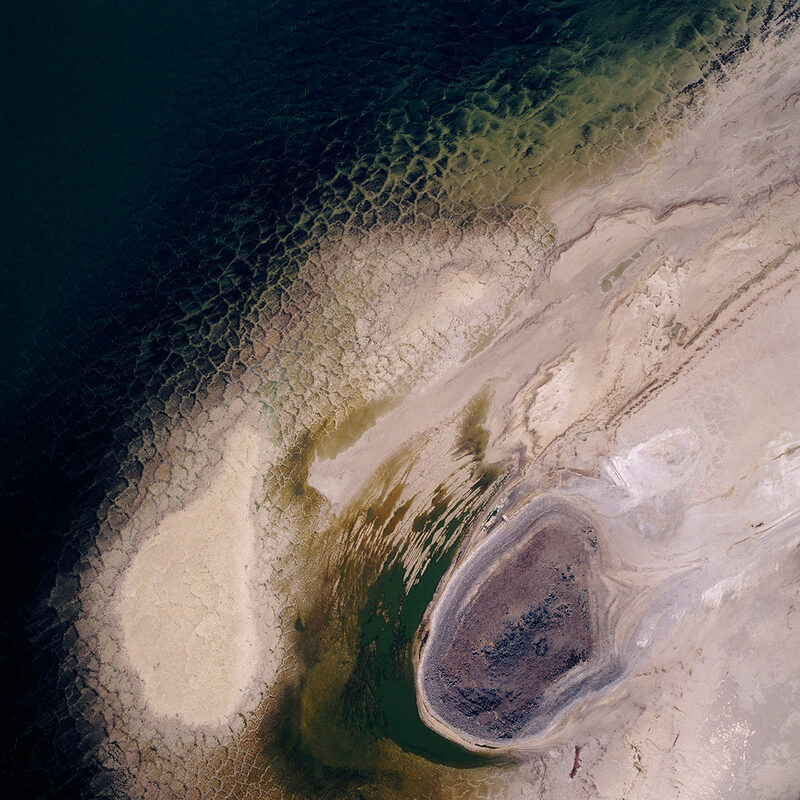 Previous scars are covered over, and cycles of negation and erasure expand into a grid system overlaid on the barren lake. From the air, a new map emerges.